Our favorite thing to do when living in Rockport, MA was to get up early to watch the sunrise on Front Beach. This welcoming vista as we headed down King Street always inspired! 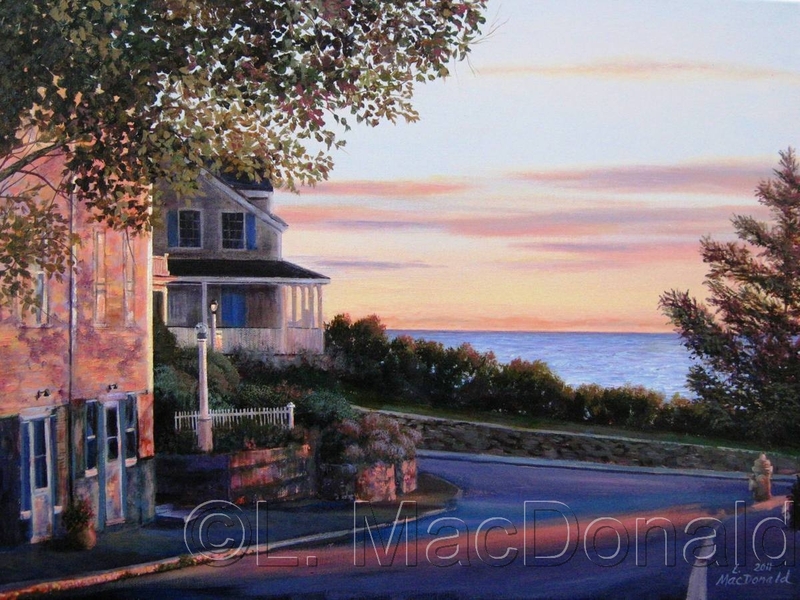 This painting has won multiple awards and has been in many local and regional shows in Massachusetts.